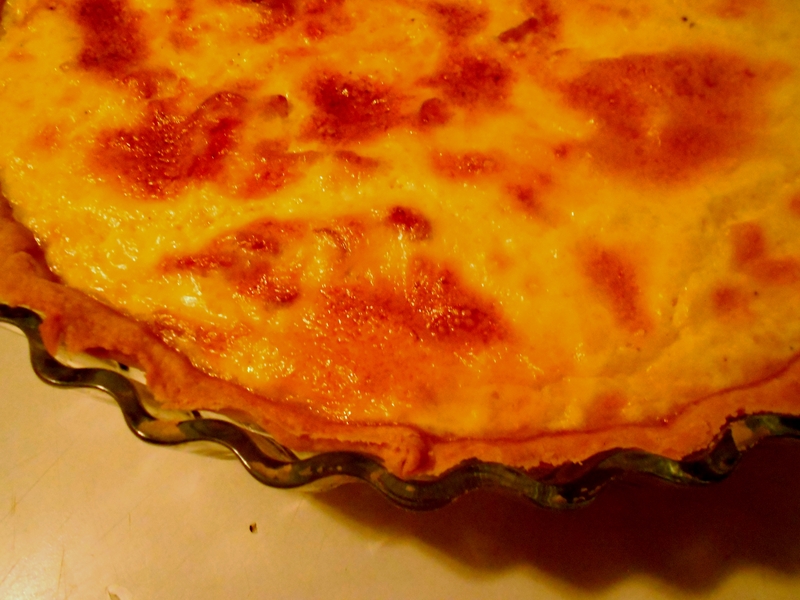 Ages ago quiche were the dishes du jour. I do remember the saying “real man eat quiche”. I think they are excellent served with a salad. 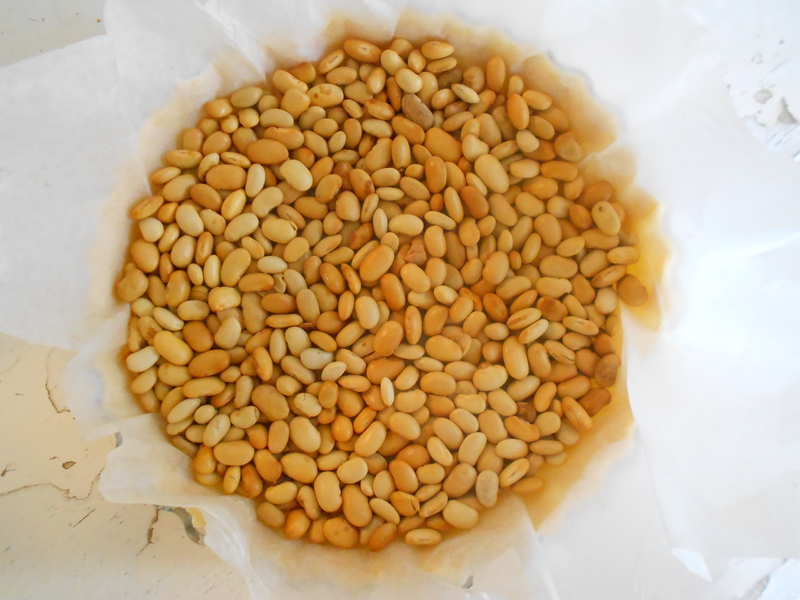 Mix the flour and the salt, add the butter and mix with the tip of your fingers until you reach a coarse sand like mixture. Make a well, Mix the egg and water and pour it in the center of the well and, working fast, wet all the ingredients. Make a ball, wrap it in cling film and let it rest for an hour in the refrigerator. 200 gr of bacon of your choice. 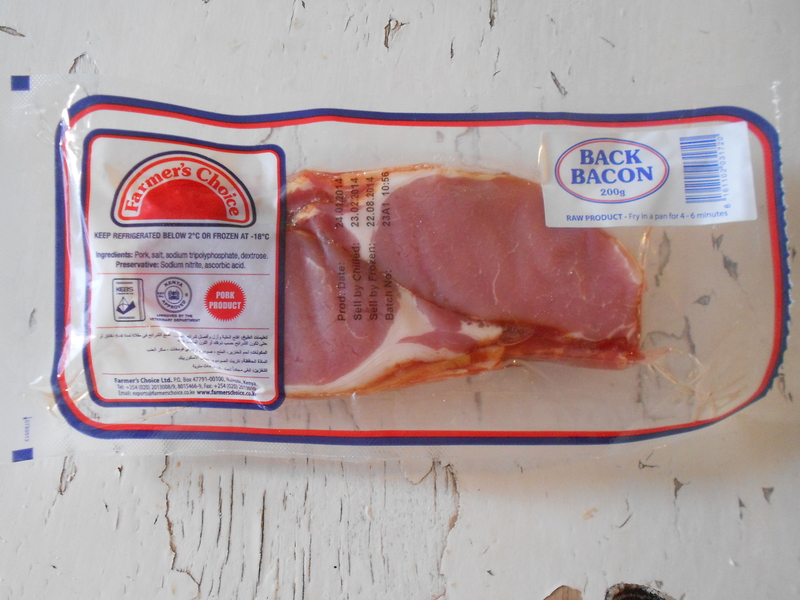 I have used collar bacon. 200 gr of grated mild cheddar cheese – Note that I am making a quiche with ingredients easily available in the Kenyan market. 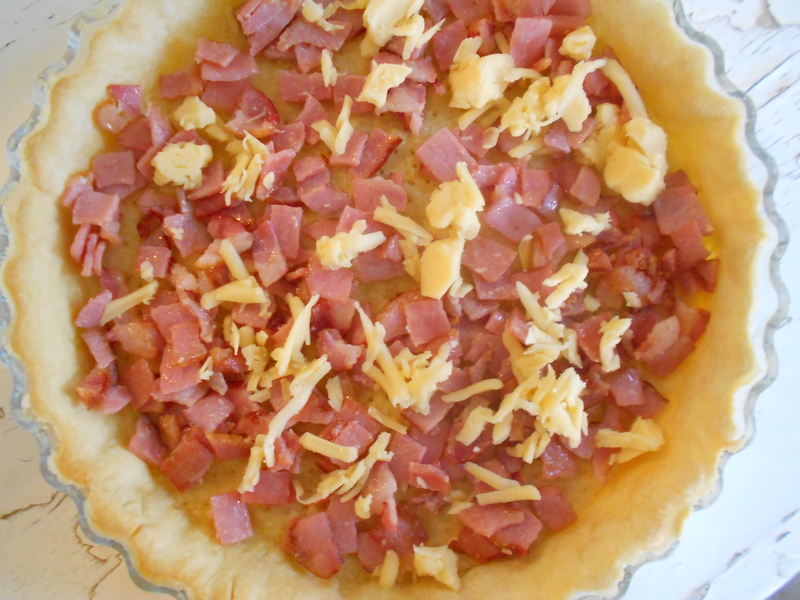 Tip: Quiche are extremely versatile and can be made with a variety of ingredients. 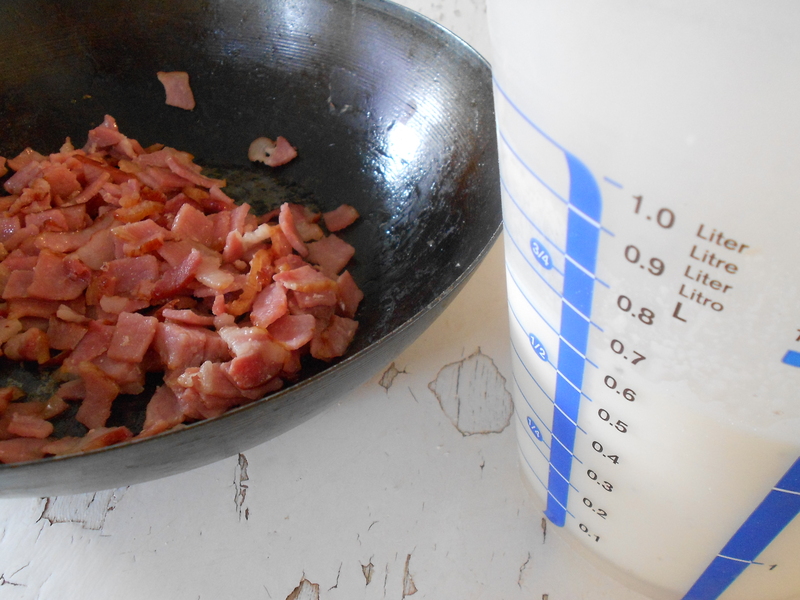 You can replace the bacon with blanched vegetables, remove the cheese or make it with any cheese of your choice. Zucchini or roasted red pepper (capsicum) quiche are my favorite. 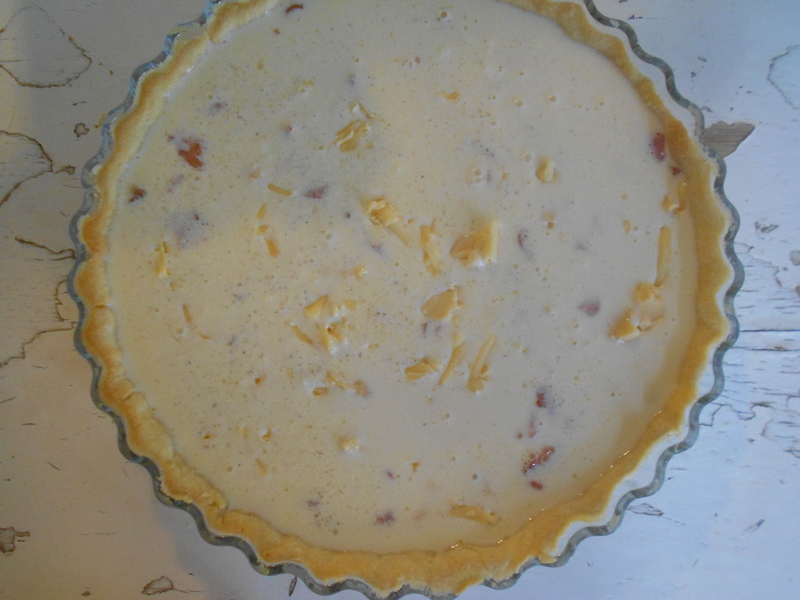 Your quiche vosgienne looks great. 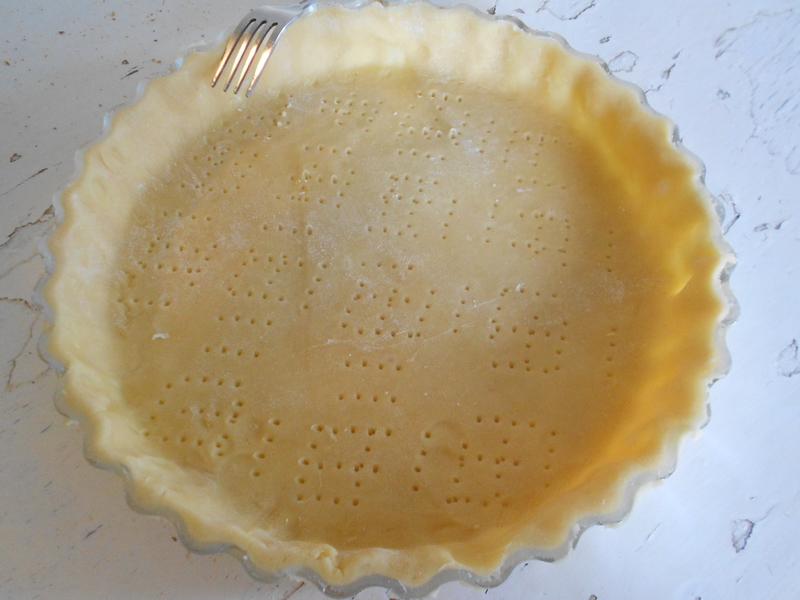 I like to include onions as well to turn it into quiche alsacienne. No gruyère there?